For quite some time I have been reading and studying chronologically the section of Scripture that deals with the time period 750 BC to 586 BC. 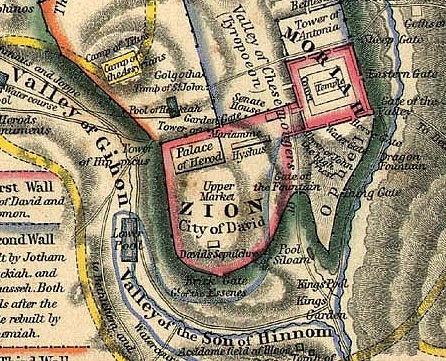 Israel’s glory years led by David and his son Solomon had long ended and were followed by two monarchies split into northern and southern kingdoms after the northern tribes would not accept Solomon’s son and David’s grandson, Rehoboam, as their king. 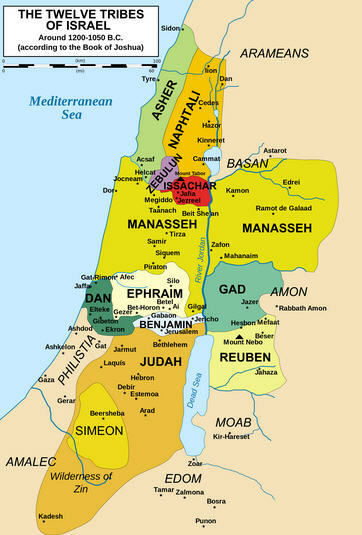 Instead the northern tribes brought back Jereboam from Egypt as their king and hostilities existed between the two kingdoms for an extended period of time. Gradually each of the kingdoms eroded, falling further away from God and into idolatry. There were periods where hope sprung forth, only to be quenched again and again by a return to sinful degeneration. A number of prophets warned of the impending punishment because of Israel’s failure to keep their covenant with Yahweh. Throughout the period Israel and Judah basically served as vassal states first to the Neo-Assyrian Empire, then to the Neo-Babylonian Empire. Ultimately both kingdoms fell to their enemies and most of the survivors were swept away into captivity and pseudo-slavery reminiscent of their time in Egypt. Portions of a number of Old Testament Scriptures record the events for the time period including 2 Kings, 2 Chronicles, Isaiah, Zephaniah, Amos, Jonah, Micah, Jeremiah, Proverbs, Hosea, Nahum, Habakkuk, Daniel, Ezekiel, Lamentations, Obadiah and Psalms. Judah, just like Israel, adopted and tolerated the worship of pagan gods from their surrounding neighbors. Unholy alliances with foreign governments and politically motivated marriages were common in that day in an attempt to protect their home land from foreign invasion. The kings of Judah even allowed idols of other gods to be placed in the Temple to be worshiped side by side with Yahweh, the true and only God. Sanctuaries were built in what the Scripture calls “high places” dating back to Solomon’s time. These “high places” were worship and sacrifice centers for pagan gods. 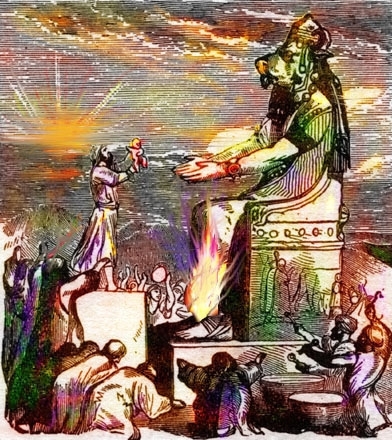 Even child sacrifices to the pagan god Molech took place (see my article “On Child Sacrifice“) at Tophet, the cultic site in the Valley of Hinnon (2 Kings 23:10) on the south side of Jerusalem ultimately known as Gehenna (hell fire) in New Testament times. Because of both their individual and collective sin, Judah ultimately fell to the Neo-Babylonian Empire. Four deportations of Judah’s Jews took place between 605 BC and 582 BC and the captivity lasted for 70 years before they began returning to their homeland after the fall of Babylon to the Persians under King Cyrus. Micah 6:8 – He has shown you, O man, what is good; And what does the Lord require of you But to do justly, To love mercy, And to walk humbly with your God? Isaiah 29:14-16 – 14 Therefore, behold, I will again do a marvelous work Among this people, A marvelous work and a wonder; For the wisdom of their wise men shall perish, And the understanding of their prudent men shall be hidden.”15 Woe to those who seek deep to hide their counsel far from the Lord, And their works are in the dark; They say, “Who sees us?” and, “Who knows us?” 16 Surely you have things turned around! Shall the potter be esteemed as the clay; For shall the thing made say of him who made it, “He did not make me”? Or shall the thing formed say of him who formed it, “He has no understanding”? 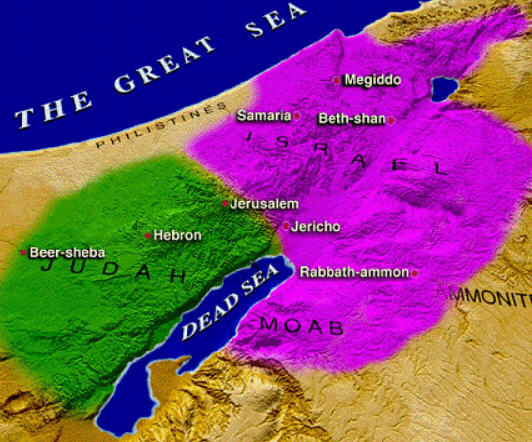 The problems for Israel and Judah dated back to the time when they entered the Promised Land. God gave them that land, told them to occupy it and to purge it of ALL of its present inhabitants. However, thinking they knew more than God, they left many of the pagans alive. Over time their sin compounded as they intermarried with the foreigners often adopting the worship of their gods alongside of Yahweh. God had clearly shown them “… what is good” and “… what the Lord require(d) of them … (Micah 6:8).” But they thought that they could “cheat” God by applying their own definition of what is good and what God required of them. They continued in their sin compounding their situation further, all the time thinking that their ways and solutions were better than those of God. Sounds familiar doesn’t it! The prophet Isaiah spoke to them repeatedly, as did others, about their folly and the application of their own wisdom over God’s wisdom. Through Isaiah God told them “… their wise men shall perish, and the understanding of their prudent men shall be hidden” (Isaiah 29:14). The foolishness of their ways in thinking that they knew more than God is clearly seen in God’s further statement in verses 15-16: “15 Woe to those who seek deep to hide their counsel far from the Lord, And their works are in the dark; They say, “Who sees us?” and, “Who knows us?” 16 Surely you have things turned around! Shall the potter be esteemed as the clay; For shall the thing made say of him who made it, “He did not make me”? Or shall the thing formed say of him who formed it, “He has no understanding”? The gradual erosion and sinful decay of Israel and Judah ultimately led to their complete downfall including the devastation of their precious Promised Land, captivity in an unfamiliar foreign country, and forced slavery to their captors. I see such a strong parallel between Israel and Judah to our modern-day world. In particular, the United States of America … so blessed by God over our history … has turned almost totally away from God’s teachings. Only a remnant remains faithful and lives in accordance with God’s commands. Our government and our national news media even discriminate against Christians while at the same time demanding and protecting the rights of other religions such as Islam. 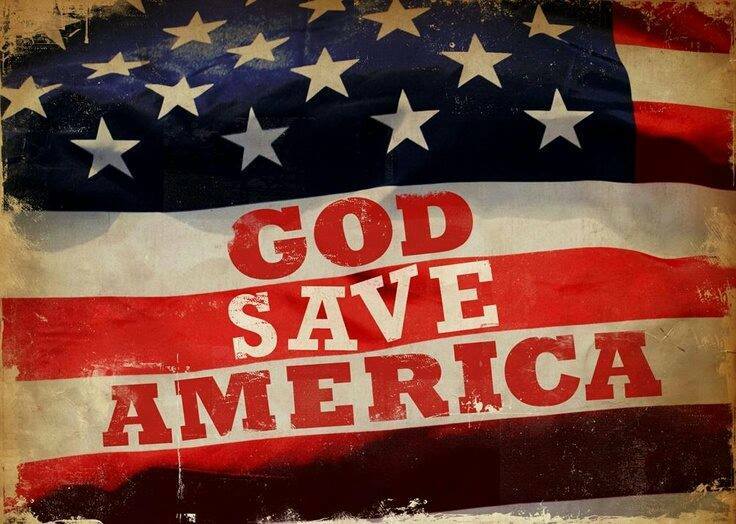 From all appearances, the USA is over the line with God as a nation. God must look at us in ALL of His righteousness and weep. We depend on our “wise men” who are out of touch with Almighty God, constantly bickering with each other, hardly ever agreeing on anything, substituting their own wisdom over that of God. In God’s righteousness He will not continue to overlook our individual and collective sin. There are consequences that must and will be paid here on earth and eternally. Conclusion: Is It Too Late for America? I am excited about the message of these articles and look forward to completing them! It will take me some time as I have again begun working on my third book, Thank You Lord For Saving My Soul, which will include an extensive updated article on Evangelists Seth and Bessie Sykes. Look for the next article in this series soon. 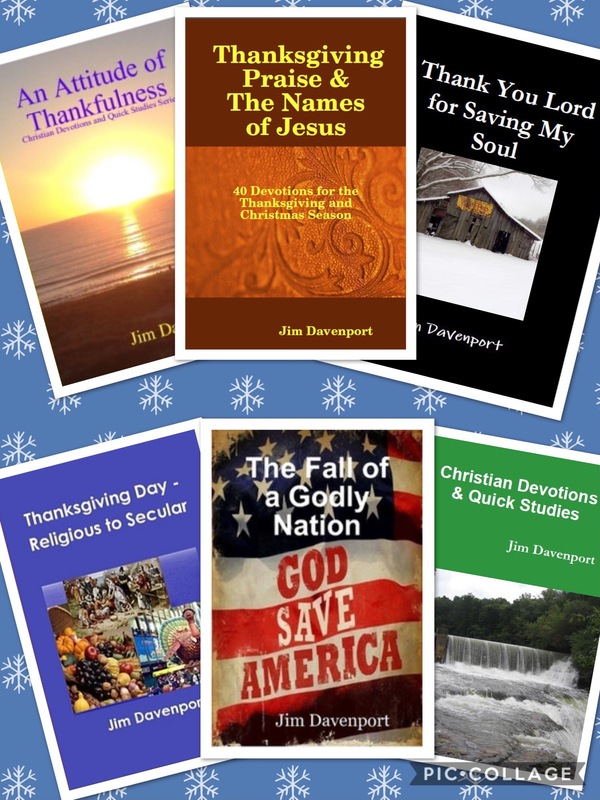 Books by Jim Davenport: Please consider the purchase of Jim’s books to help spread the message of Christ Jesus. Christian Devotions & Quick Studies is especially good to share with a lost friend, someone needing encouragement or someone who does not have access to the internet. My books are sold near the cost to produce as I am only interested in sharing the good news of the Gospel of Jesus to as many as I can before I go to Heaven. For a limited time, Jim’s Books are available at a special discounted price. Click one of the links below to download or purchase. OMG – “Oh, My God! Gallery | This entry was posted in Bible Studies, Christian Devotions and tagged Bible, bible studies, blood guilt, Child sacrifice, Christ, Christian, christian devotions, Christian living, Chronicles, Consequences of sin, deep suffering, doing what is right, eternity, evil, God, God Save America, good, heaven, Heavenly host, Holy Spirit, Isaiah, Israel, Jesus, Judah, killing unborn babies, Kingdom of Judah, Lifestyle christian commitment resolutions, Lord, New King James Version, northern kingdom, Old Testament, rejecting God's law, right, right choices, salvation, sanctity of life, segregation, Sin, Southern Gospel Music, southern kingdom, Temple, United States, woe, woe to those who call evil good, wrong. Bookmark the permalink. Bernie, What a wonderful confirmation of the words God has inspired and aowed me to write. I am so excited about this series. Please help me pray that God will speak to many as a result of these articles.